The Nike Kyrie 2 'BHM" is part of the upcoming Black History Month Collection dropping later this month. The Nike Kyrie 2 "BHM" uses a black base with hints of color throughout the entire shoe. A tribal design print runs along the strap of the shoe. The "BHM" logo appears on the back of the sneaker. Black detailing appears on the upper near the sock liner and a gradient multi color sole brings the sneaker together. 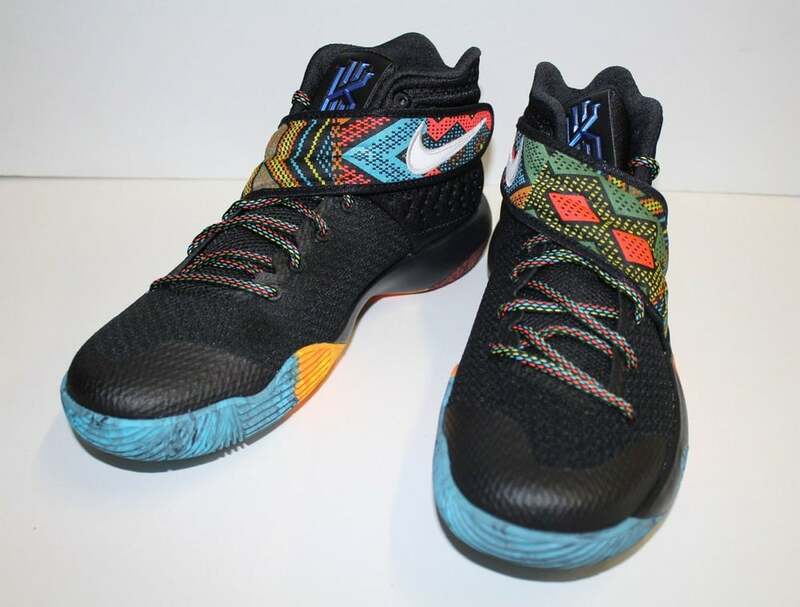 The Nike Kyrie 2 "BHM" will hit retailers on January 18th, 2016. Stay tuned with @SneakerShouts for more official photos and release info as it unfolds.